Marion Howlan Service Details - Amsterdam, New York | Riley Mortuary Inc.
Marion T. Howlan, of Hagaman, NY, passed away peacefully, Sunday morning October 14, 2018 at Ellis Hospital in Schenectady, NY; with her loving children, Francis A. “Boomer” Howlan III and Mary Kate Lomanto by her side. Born in Amsterdam, NY, May 29, 1932, she was the last of nine siblings to Jacob and Catherine Roman Trzaskos. Marion graduated from St. Mary’s Institute with honors in Amsterdam and also attended Amsterdam School of Commerce. She was later employed as a secretary at General Electric for many years. Marion was a parishioner and communicant of St. Mary’s Church and the former Church of St. John the Baptist in Amsterdam. She married the love of her life, Francis A. “Dutch” Howlan Jr., June 26, 1954. Dutch passed away on their 35th wedding anniversary on June 26, 1989 while on vacation. Marion is survived by her son, Francis A. Howlan III, her daughter, Mary Kate Lomanto (James), her five loving grandchildren whom she was very devoted to, Andrew Howlan (Marisa), Katherine, Nicholas, Peter and Maria Lomanto. Her faithful cat “Kitty”. Nieces, nephews, great nieces and great nephews, and sister-in-law, Mary Ann Riley also survives along with many dear friends. Marion was also predeceased by three brothers, infant John, Frank and Celian Trzaskos, five sisters, Clara Snyder, Dorothy Traskas, Marguerite Traskas, Ann Barczak and Bernadine Corrigan and her niece, Lisa Snyder. Marion was a homemaker, very involved with the P.T.A., St. Mary’s Auxiliary and volunteered for many school events. She was an advisor for the Ski Club at Bishop Scully High School and was an avid skier herself. Her favorite ski trip was to Mont Tremblant, Quebec, Canada. Marion enjoyed “Ladies Day”, on Thursday’s at Oak Mountain Ski Center in Speculator. She was very fortunate to have traveled around the world with her friends, visiting several countries, sharing beautiful photos and wonderful memories. Calling hours are Friday from 4 to7 p.m. at the Riley Mortuary. Funeral services will be held Saturday morning at 10:30 at the Riley Mortuary, Inc., 110 Division Street, Amsterdam, NY 12010, followed at 11:15 by a Mass of Christian Burial, which will be celebrated at St. Mary’s Church, 156 East Main Street, Amsterdam, NY. Memorial gifts in Marion’s name may be made to St. Jude Children’s Research Hospital, 262 Danny Thomas Place, Memphis, TN 38105. The family would like to thank the entire staff, at Ellis Hospital Neuro - Science ICU 6th floor and the 1st floor Comfort Care for their extraordinary love and compassion shown to our dear mother at a very difficult time. 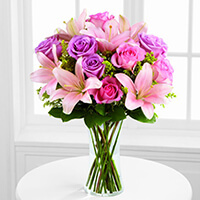 To send flowers to the family of Marion T Howlan, please visit our Heartfelt Sympathies Store. Boomer, MaryKate & family, So sorry for your loss, you are in our thoughts and prayers.